Soon I will tur n my focus to the paternal side of my family. Today’s story though, is about how my paternal and maternal lines became connected. My family lost my beloved father at the end of December. As we rummaged through his apartment deciding what to keep and what to toss I ran across three stories he had never put in his “Life Stories” notebook. One titled “All”s Well That Ends Well” tells of how he met my mother. In it he told of how he’d taken a training job in 1947 with Allis Chalmers in Milwaukee, Wisconsin, hoping it would lead to a job back in the Northwest. On this particular Saturday evening in the late fall of 1948 I was debating on whether I should go to a dance at our YMCA or do the sensible thing on a cold snowy night and stay home. Still, I always had a good time at the dance. I loved to dance more than anything. That thought won out. I dressed inn my best outfit and walked to the bus stop to wait for the bus that will take me to downtown Milwaukee. It was perfectly safe to do this, even very late at night in 1948. As I waited for the bus, the weather became colder and the snowflakes were getting thicker. Again I began to feel it might be best if I went back to the house. Buses ran late or not at all if the snowfall became heavy enough. Before I could continue to ponder the question, a bus pulled and I hopped on and soon I was on the way to the Y. There was a nice crowd on hand and I didn’t lack for dance partners. However, I did notice a dark haired, dark eyed young man among the crowd. He noticed me, too, and ask me for the next dance. He told me his name, I told him, and exchanged other chit chat. As the band played home sweet home, which they always did at the end of the evening of dancing, he asked me if he might drive me home. He seemed very sincere and kind. I thought I’d be safe with him so I said yes. He had a black 1947 Ford and we drove to a late evening eatery. Over drinks, he told me all about himself. I told him more about myself. Before we said good night at the door, he asked me if I would like to go to an ice skating party with his engineering club the following Saturday. I said yes, even though I skate with all the grace of a lumbering elephant. All week I worried how I would never last more than a half hour on the skating rink. Luckily for me, the weather got warmer and warmer, and by Friday the party was called off because there were pools of water on the outdoor rink at Washington Park. We did make a date to see Oklahoma the following Saturday night. Oklahoma was wonderful and we had a good time. At the door he said he couldn’t see me again for a while since the following week he was traveling to Indiana to see Perdue play football. I guess I should have known then that that will be his favorite pastime. After that he was going home to Washington for a two week vacation. He asked if he could call me again after he got back. I said sure, actually I thought this might be the typical line a young man used when he wanted to drop a girl kindly. That didn’t bother me much at this point, because I was also dating others and didn’t lack for escorts. Besides, I really wasn’t ready to settle down with one particular guy just yet. Still I wondered would I ever Verle Caple again. After Verle got back from Washington, we continue to date. I like his intelligence and honesty. I learned that he had grown up in Puyallup, Washington. Good grief, I thought where is that? He told me it was near Seattle at least I knew where that was. As I continue to date Verle, I learned he’d lost his mother at the tender age of 11. The family had been very poor. He had an older sister, brother in law, two nephews and a father he loved and admired. Through the tragic death of Verle’s mother and the depression his father devoted himself unstintingly to the welfare of his two children. He told me that after graduating from high school in 1940 he got a job as hod carrier in the Bremerton Navy Yard where they were building dry docks for the United States Navy. He chuckled as he told me how he thought he was rich, rich, rich, because he was earning a dollar a day. He had never seen so much money in his life. After a few months of this, he realized there was not this was not what he wanted to do all his life. During his school years he had been an excellent student. His teachers had encouraged him to go to college. 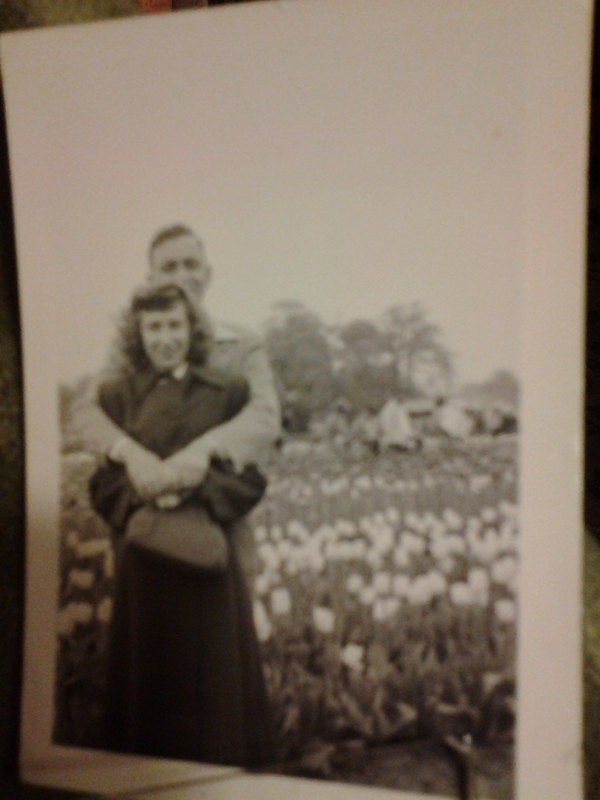 In the fall of 1941 he took his savings and enrolled at the University of Washington in the College of Engineering. In the meantime America has become engaged in a full-blown war with Germany and Japan. Verle knew it was only a matter of time before he’d be drafted, He was sent to Utah for basic training. He was a second lieutenant in the United States 15th Air Force, as an navigator with a b24 bomber group. Eventually he went to Italy where he flew bombing missions over enemy territory in Europe. I can remember listening to the radio every morning during the height of war and hearing the announcements related to where the bombers had flown the night before and how many bombers had failed to return. I’m glad I didn’t know him then. In August, World War II ended. He was discharged from the Air Force in September 1945 after returning home to Washington, he re-entered the University of Washington under the GI Bill, which paid up to $500 a year for tuition and books and $65 a month for living expenses. That took care of all of his college expenses. He workede during the summer at boeing as a draftsman which enabled him to graduate debt free in August of 1947 with a BS degree in electrical engineering. Big firms were recruiting students on campus he chose to work for Allis Chalmers in Milwaukee. He decided to return to Washington in 3 months then he met me. After dating off and on for a few more months, I took him home to meet my mom and dad. They both liked him. 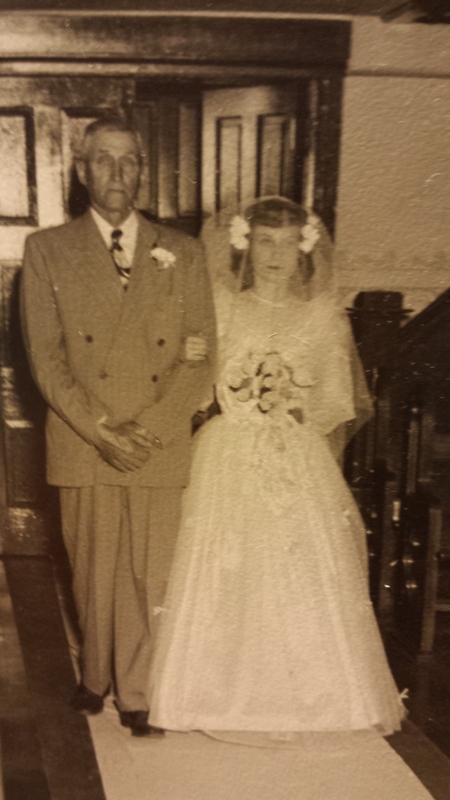 After a y ear of dating, we became engaged and married on May 20th 1950. In 1948 I took a vacation back to Washington. While there I took the time to visit a former classmate who had gone to work with Tacoma City Light. He told me they’d would be having a large project coming up…which required additional help. Since I still had a desire to return to the West Coast I made an appointment to talk to their chief engineer. He told me that the prospects were good at getting a job working on two power houses they would be building for two dams on the Cowlitz River. One was to be at Mayfield and the other at Mossy Rock. He said it was still in the preliminary status but they expect to get it going in about six month which happened to be when my 18 month training. would be expiring. I told him about my background and a few details on the training experience and he seemed interested in what I had done. No guarantee was given that I would have a job but I was pretty much assured it was a good possibility. In the following months I concentrated on what I thought would be the skills most needed for what I hoped and expected would be my new job. I learned that Allis Chalmers would be one of the bidders on the equipment involved. I corresponded to the chief engineer and always got the feeling that things are moving forward about as had been planned. Meanwhile, while I had dated a few girls during my stay in Milwaukee I had not yet met anyone I desired to be serious about. However that started to change after I went to the dance at the he local YMCA in late 1948. There I met a girl who captured my attention. Right away I began to have questions in my mind about moving away. However I did still plan soon after this happened I received a letter from the chief engineer in Tacoma he informed me that the proposed project for the dams on the Cowlitz River was environmental and fishing groups it would be indefinitely delayed. Therefore the possibility of a job in the near future was gone. This was a bit of a let down for me but in a way I was relieved. My personal feelings about girl I had met a great leap forward. 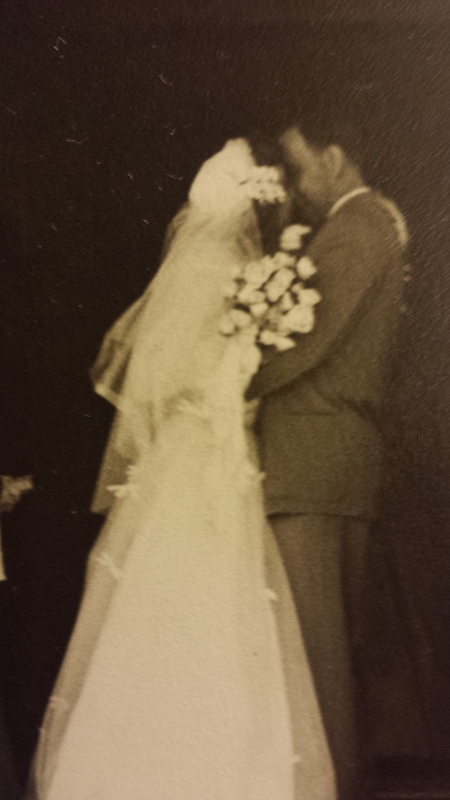 On May 20th, 1950 Jean and I were married and have now been together for over 60 years. My desire to go to the West Coast became a reality in 1952 when I accepted a job with Reynolds Metal company but that’s another story. Incidentally the dams on the Cowlitz River were completed in the 1960’s but they did it without my help.